Russian valenki not only keep people warm in winter weather, but they also have healing properties. What could be simpler than Russian valenki? These traditional winter shoes have long been a symbol of Russia, just like the matryoshka or samovar. 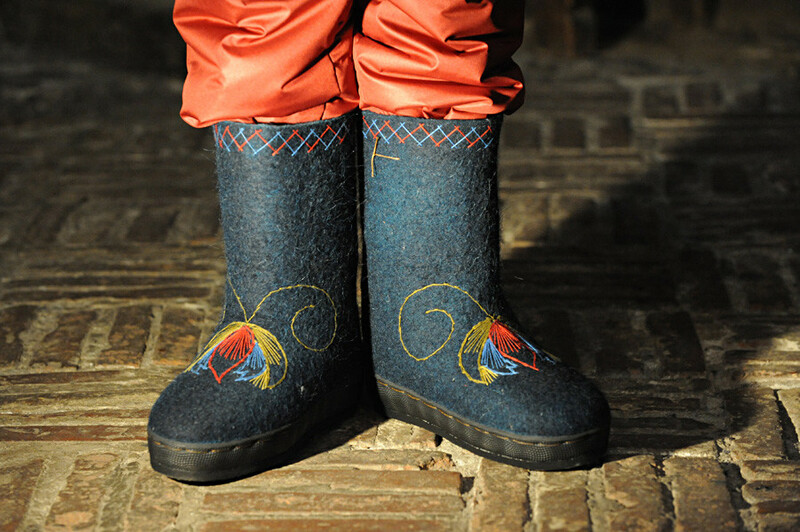 Today, warm boots made of wool are worn not only in villages but also in cities, and Russian designers offer new models with embroidery and decoration. But did you know that valenki can be used as a remedy against the common cold? Here are 10 interesting facts! Historians believe that felt was invented by ancient nomads who used it for covering their Yurts and making hats. Felting wool came to Russia at the time of the Golden Horde (13th-14th centuries). In winter, they wore felt boots called pimy, which today is mostly known as fur boots among the nations of the North, and which was later transformed into valenki. Today, they are produced only in Russia and the CIS. Until the 18th century, valenki were handmade and produced only in Siberia and several Northern regions where manual labor was long and hard. The top was made separately and then sewn to a bottom shoe. Valenki's modern look appeared in the Nizhny Novgorod Region in the 18th century. They were expensive, and sometimes a family had to share one pair. 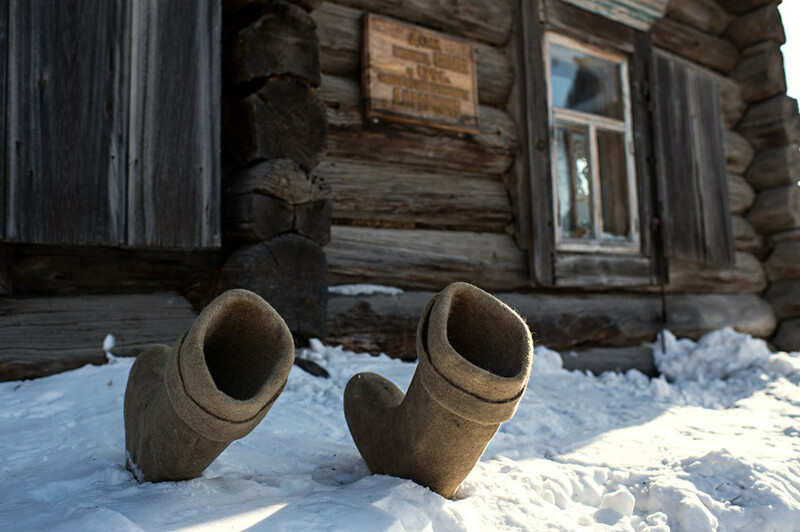 Only in the 19th century did mass production of valenki begin, and they became the country's most popular winter boots. There’s no difference between the left and right valenki. They gain form when worn, taking the shape of their owner’s foot. In Russia, valenki size is usually specified in centimeters, but add an extra 2-3 cm to your size because the wool will shrink. Valenki can be worn for 10 years or more, depending on the amount of use. Natural sheep wool can absorb and evaporate moisture, keeping you dry. Thus, wearing valenki helps you cope with colds. The wool also contains lanolin, which effectively relieves muscle and rheumatic pain, and helps to heal wounds. In olden days, senior citizens living in villages didn’t take their valenki off even in summer because it was thought they improve blood circulation. At the opening ceremony of the 2002 Winter Olympics in Salt Lake City, Team Russia made a memorable walk in valenki with galoshes. By the way, valenki are worn today as part of winter uniforms for workers in the oil and gas industry, as well as in the railways. And of course, you cannot imagine Father Frost and the Snow Maiden in any other boots! 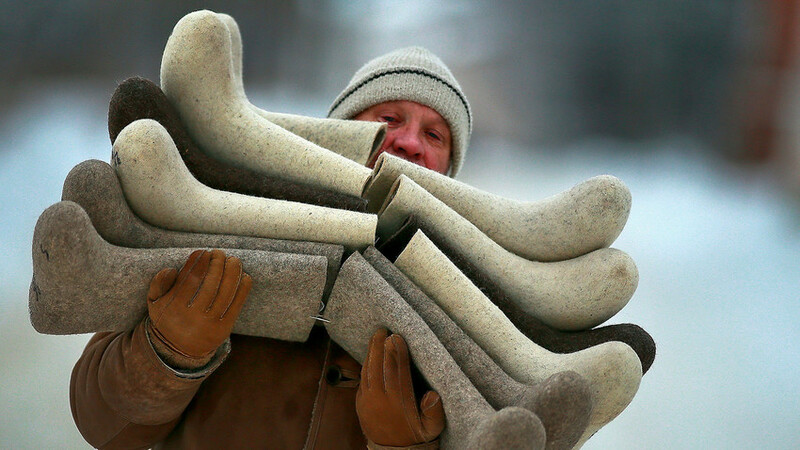 Valenki throwing championships are regularly held in Russia's northern regions: Arkhangelsk, Syktyvkar and Severodvinsk. Russians compete in distance throwing, as well as for precision. The largest valenki in the Russian Book of Records, with a height of 168 cm and a foot length of 110 cm, were made in the city of Kineshma (Central Russia). The smallest valenki ever made also come from the same city, with a length of just 6 mm. 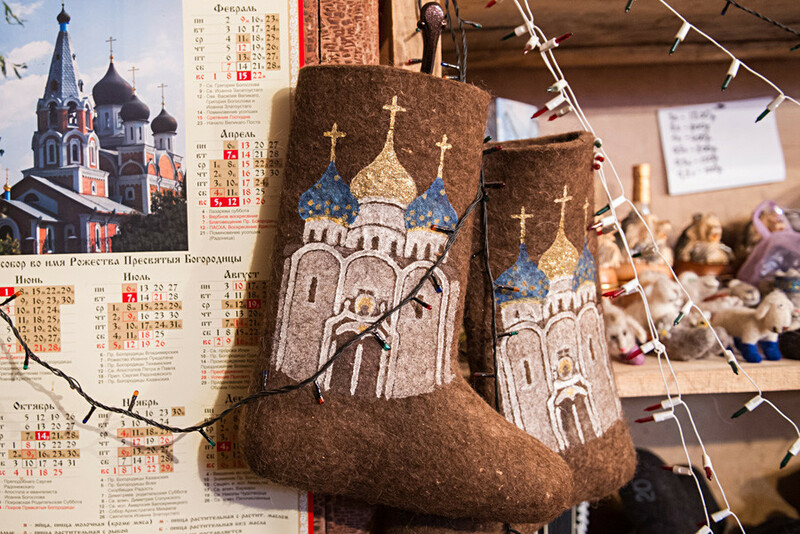 Museums dedicated to valenki can be found in Moscow, Kineshma and Myshkin, where you can see various kinds of traditional Russian winter shoes. Russian winter shoes were widely used to predict the future. For example, during svyatki (the period from Orthodox Christmas Eve to the Epiphany) young women had a tradition of throwing valenki over the fence. Depending on how they landed a young woman could make assumptions about her possible future marriage. If the boot’s toe pointed towards home, then the girl should not expect a wedding in the coming year. But if it faced the opposite direction, then the family should prepare for a joyful celebration. Another custom concerned moving to a new house: Valenki would be carried to the new location because it was thought that fairies lived in it. Valenki are usually made of brown, black, gray and white colorized wool. To make them last longer, valenki should be covered by galoshes. Modern Russian designers create valenki on a durable rubber sole that doesn't slip on ice, and you don’t need to look for a special shop because these simple winter shoes are sold pretty much everywhere. To complete the genuine Russian winter look try the ushanka hat. Also, share your feelings in the comment section below.